Here we go, this site is another confirmation that after youtube-mp3.org has gone down, many many people all over the world need new mp3 converter for their daily youtube to mp3 needs. And ListenToYoutube.com is one of the sites that’s getting some mad traffic. Just check out the alexa chart below.. see how their traffic skyrockets around start of september 2017? =) that is it..
And of course we need to put our word to this phenomenon and do a quick review of listentoyoutube.com and a small screenshot based step-by-step tutorial on how to use it. The site is pretty light, fast, works fast, loads fast. converts mp3 pretty fast too. As you can see in the Step by Step tutorial below, it is quite easy to use it. The site says it’s (c) since 2007, so 10 years that is a good time to survive.. Something tells me though it’s just a notation, sites in this field rarely live that long.. There are ads of course. Not display ads, the owner of the site is smart not to disappoint the visitor by early assault of ads. but then in step 2 you can see the link that they want us to click to show the download button – that one will produce popup ads with every click. 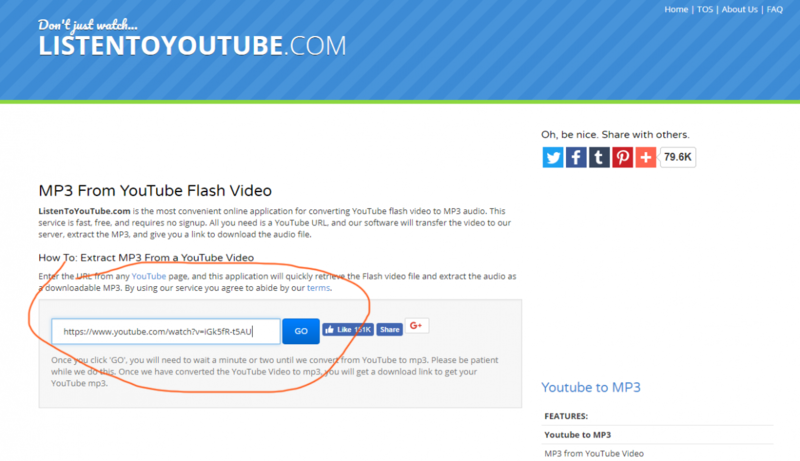 At first i thought it was not necessary – but no, that links has to be clicked in order to get access to your youtube mp3. Be careful and quickly close all the popups. Or use browser that does it for you, like yandex. Here we have a quick tutorial on how to use listen to youtube com.. We will be getting Kary Perry’s new song Swish Swish… Not too bad for Katy, i was surprised.. Pretty nice old-school house music.. I have red-line circling the right spot where to enter the youtube video url. Click GO and this youtube to mp3 converter starts working. Now you will see there’s a small link that says “CLICK HERE to get your Download Link” . In the image below it’s circled in red. After that click a new screen appears, as shown on the screenshot below. Surprisingly, this page has 2 options to click to initiate the mp3 download. You can go for the big blue button that looks like some cleverly disguised ad. No. it’s a normal button. Feel free to click and see your download start. Another way to download mp3 is via the html5 audio tag preview that is located directly below the blue button. You can preview the mp3, pre-listen to it, before downloading. 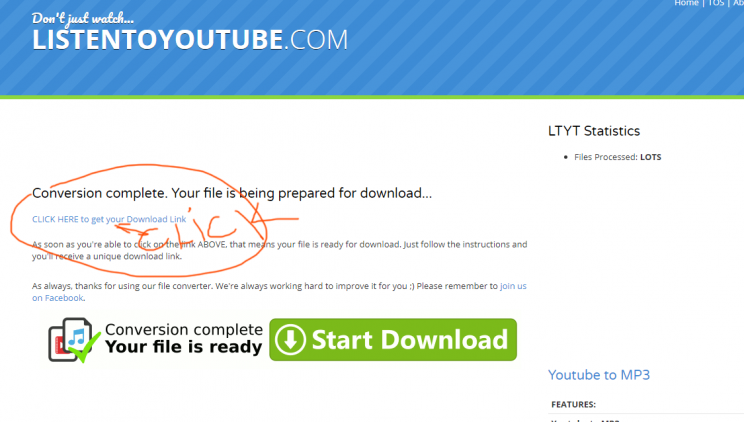 and there is the little download icon on the right, you can click it too to start the download. It actually looks more inviting to me..
the site is nice and it’s deservingly getting good extra traffic lately. Check it out, it’s not bad at all. It is almost as good as youtubeMp3.today or mp3 converter – our editor’s choices for now..